I am really sorry that most of you readers (Brits) will be living the EC, however there is period of two years before that sad event occurs, meanwhile live goes on so it will be useful to be aware of the new EC legislation coming up which might affect you specially if you will continue residing in this country independently of the Brexit. The A +, A ++ and A +++ classes will disappear from the new EU Energy Performance Certificates to simplify their reading. The new energy efficiency label, mandatory in the European Union (EU), will no longer include the A +, A ++ and A +++ classes that some appliances carry, but will be unified in a more simple straight forward classification from A to G. This was approved recently in the European Parliament (EP), so that the citizens have clearer and more real information of the energy used by their washing machine or refrigerator. Thanks to the more efficient appliances, consumers can save about 490 Euros per year on electricity and reduce their environmental impact. This article points out seven keys to understand the new efficiency labelling of household appliances: from how to identify the most acceptable appliances to some pending labelling problems. The European Parliament has approved the new energy labelling so that consumers can choose the most efficient appliances and reduce their electrical expenditure. One of its main novelties is that the classes A +, A ++ and A +++ will disappear and just an A (most efficient) system will be used to the G (the most profligate). Household appliances should have visible labels attached and more details can be obtained on the Internet, such as using QR codes to compare different devices. The European Commission (EC) will publish an online database of market products and their efficiency. Internet shops, from the absence of the label on the device to improper use of it. The report's authors also pointed to the lack of inspections by the administrations. 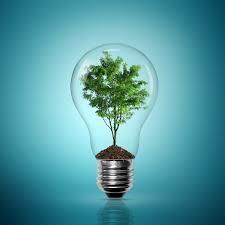 How does energy efficiency help the environment and the pocket? Energy labelling benefits citizens and the environment. High-efficiency products consume less energy and thus save us money on the long run, as well as generate less pollution and produce less greenhouse gas emissions, implicated in climate change. There is some confusion with the term, which is sometimes mistakenly linked to renewable energy. Energy efficiency has to do with saving energy, with its rational consumption. There is a great potential without altering the level of our well-being. This savings, between 20% and 50% of consumption, can sometimes be achieved by investing small amounts of money. 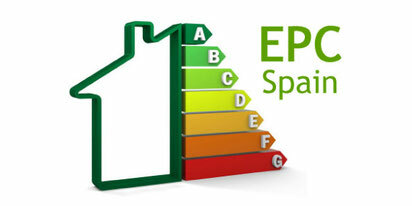 When and why was the energy efficiency label created? The energy label was established in 1995 so that citizens could see at a glance, thanks to a classification of letters and colours, the efficiency of appliances. After more than two decades, the technological advances have increased the efficiency of these devices in a way that have made necessary a new classification. According to EC officials, having the best results in the categories from A + to A +++ "was misleading and concealed possible substantial differences in energy performance."